Catheter sets contain various materials, such as urine bags, gauze compresses and fenestrated drapes, for transurethral bladder catheterisation. 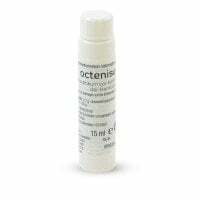 With us, you can purchase the proper catheter set and catheterisation accessories, such as mucous membrane antiseptic, at particularly low prices. 41,25 EUR* Not ready for shipping. Reserve today and we will ship as soon as possible. Catheter sets contain sterile material for carrying out transurethral bladder catheterisation. The application or changing of an indwelling catheter must be done in a sterile fashion, so as to prevent the often occurring urinary tract or bladder infections. The application of a bladder catheter not only finds frequent occurrence in the urology clinic during specific diagnostic issues, but also in all hospital facilities, nursing institutions (like nursing homes) or also in home healthcare. The catheter set offers a user-friendly composition of sterile materials, such as a fenestrated drape, syringe, forceps, catheter bag, latex gloves, lubricating gel and glycerine for blocking, in order to make possible a sterile, time-saving application. Catheter sets are optionally available including a bladder catheter. 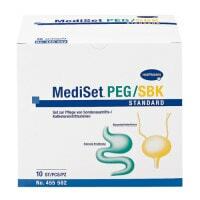 One such complete solution is offered by the Urosid Monthly Treatment Set. 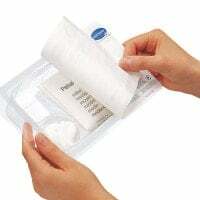 Next to that, catheter sets like the Peha Catheter Set in sealed packaging are often not equipped with a bladder catheter so that the user is free to choose the balloon catheter. The individual catheter sets have a long, sterile shelf life and are available with even more so varying equipment, which provides you with a wide assortment of options. The set can optionally contain a kidney dish, cover, latex gloves, gauze balls and lubricating gel. 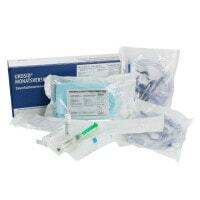 You can purchase our qualitative, high-quality catheter sets at particularly low prices. 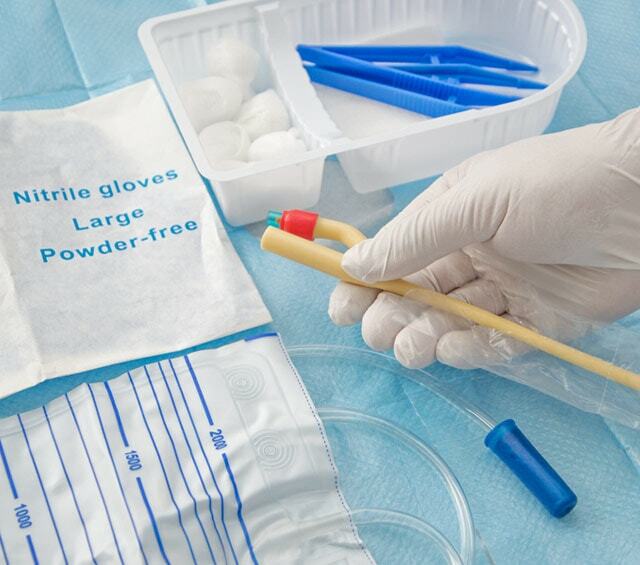 In addition to our diverse assortment of catheter sets, we offer other catheterisation supplies, such as catheter bags, Octenisept mucous membrane antiseptic, bladder catheters and accessories of varying types, so that you can quickly find the required, sterile material for working with indwelling catheters in your urology or care clinic. 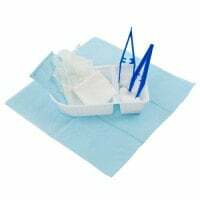 Other than catheterisation and catheter-care accessories, you will also find practice and stationary supplies for all kinds of medical facilities. You have questions about our catheter sets? Our customer service will gladly assist you per telephone, email or in our convenient chat.